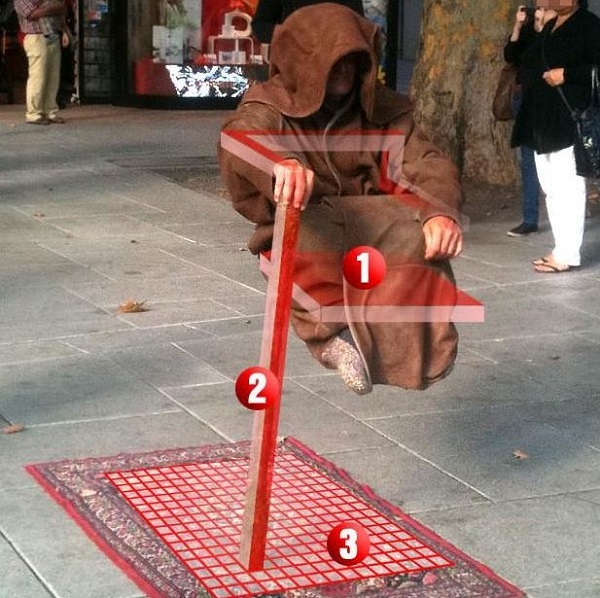 How do Levitating Street Performers Work? 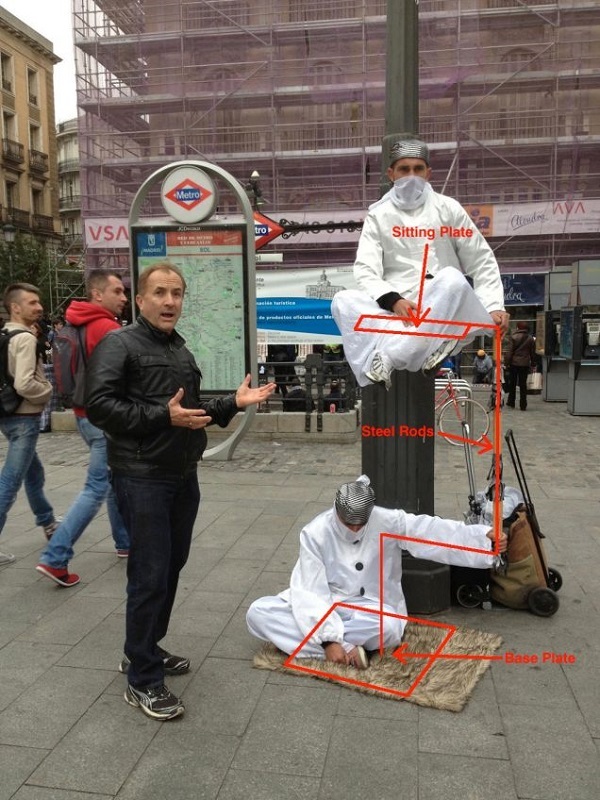 In short, the floating man illusion is accomplished via the strategic placement of steel rods and plates. And though the performers appear to be defying the laws of physics, the structure is remarkably stable and contains only three parts; 1) the seat, 2) the shaft, and 3) the plate. Of course, there’s always a rug or garden to cover up the plate, and the street performer would also require long sleeves or baggy clothing to help hide the shaft. 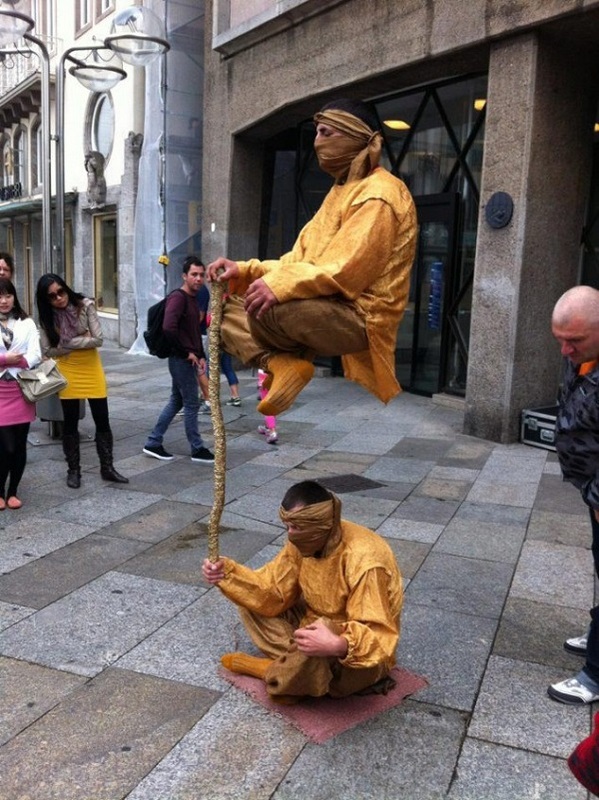 How do Levitating Street Performers Work ? The illusion is sometimes presented with two people: one on the bottom holding a rod up in the air, and another floating on top, holding the top of the same rod. Again, the solution is straightforward and very similar to the one-man version. No secret powers of the mind here – just plain physics. Share this article with your friends. Click the buttons below.